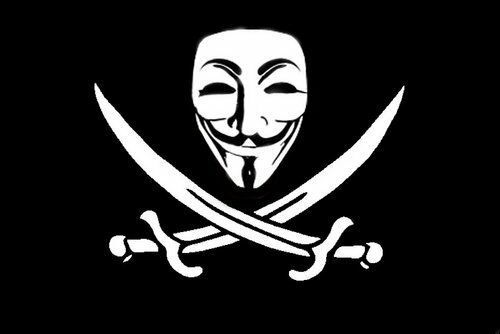 It’s Guy Fawkes Day and Anonymous thinks that means something. Forget that tomorrow is Election Day in the U.S. or that many of our fellow Americans are still digging out of the damage done by Hurricane Sandy. It’s Guy Fawkes Day, and the hacktivist group Anonymous wants to you focus on, well, them. At the risk of being targeted myself, I would be remiss if I failed to acknowledge the fact that, in honor of Guy Fawkes Day, Anonymous has already begun a series of what it claims will be massive hacking and Wikileaks-style data dumps as a global protest against the forces of censorship, corporate and government control, and the usual litany of conspiracy theorizing that is frankly too tedious to repeat. Having apparently begun activities in Australia with attacks on PayPal, Symantec, and the Australian government, the loosely knit group of hackers claims that this is the beginning of a campaign leading up to a December event they call Project Mayhem 2012. Promising to pick up where Wikileaks failed to deliver, Project Mayhem aims to effect a massive leak of secrets and whatever other data Anonymous deems worthy of exposure to rid the world of oppressive government and corporate-controlled forces. If this all sounds like self-aggrandizing, pseudo-revolutionary bluster from a bunch of basement-dwelling super trolls, it could well be; but the group’s hacking skills should not be underestimated, and neither should the message they send to a world gone more than a little conspiracy-crazy in the last decade. In fact, this CNN article about the level of paranoia is aptly timed. Maybe it’s because I began grade school in the wake of Dr. King’s murder and can still remember the atmosphere of that time, but I find it impossible not to think of a modern-day activist railing against generalized, corporate oppression, hiding behind a mask, and lurking in the shadows of Web code as anything but a coward and a hypocrite. Sure there’s corruption in the world that ought to be exposed, and it frequently is exposed by individuals willing to sign their names to the work they do, whether it’s journalism, a protest song, a poem, a play, a movie, or any other form of speaking truth to power. But what are we to make of a group that will anonymously invade privacy and seek to silence speech in order to protect privacy and speech? The journalist or the artist who speaks out not only puts himself or herself out there for the record, but also gives the reader, listener, or viewer a choice to consider what’s being presented and to come to his own conclusions. But the hacker (like the terrorist or anarchist) presumes to make the moral decision for us, choosing the target he considers an enemy, taking justice into his own hands. Anonymous may pose as cousins of the Black Panthers providing services to their communities and speaking out against very real threats to civil liberties, but they are more reminiscent of the spoiled white kids in the Weather Underground vainly making bombs in a Manhattan apartment. The truth is, of course, that Anonymous could as easily be a corporate-funded operation as anything else. How do we know, for instance, that they’re not a small team of programmers working for Google or some other Silicon Valley firm? Is this possibility any more farfetched than the conspiracies they themselves promote? Last I checked, Silicone Valley is full of money, mega-corporations, computer programmers, and anti-establishment libertarians. We see Anonymous attack media companies but have yet to see them assail the Web or consumer electronics industries for the millions they spend on lobbying or other forms of political influence. Why do those special interests get the Anonymous seal of approval? Most likely, Anonymous is not corporate-backed, but as we’re dabbling in conspiracy theory, it’s as reasonable an explanation as any other. No? I may well be inviting a cyberattack on myself here; but if so, that would only prove the point that any private citizen should abhor this juvenile approach to political dissent. Among the promises of the digital age is that we ordinary folks can more easily speak up, lend our voices, our names, our creativity, and yes even our real faces to the cause of social justice worldwide. In short, the Web is already ours, and we don’t need Anonymous or anyone else to plant their flag in it and hand it to us. But of course, we live in volatile and difficult times as the CNN article points out — a trust-vacuum if you will, and where vacuums form extremists find purchase and seek to fill the void. Wherever there is disillusionment, distrust, and disappointment that wants progressive dialogue among sane people, some clown in one theatrical mask or another invariably shows up to set things on fire. In this context, Anonymous is lobbing digital molotov cocktails. © 2012, David Newhoff. All rights reserved.